Jupiter goes into Gemini on June 11th for one year. 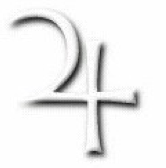 Jupiter is expansive and Gemini is curious, social and all over the place, multi-tasking! If you have planets in Gemini, get ready for action and activity! The energy of Jupiter is “more” and a “big picture” vision. However, Jupiter in Gemini can scatter you all over the place, so be mindful of clutter – either physical or mental. Completing tasks, rather than leaving them open-ended, is a great way to prevent creating clutter and completions free your attention. Your choices will dictate what happens, so again, think in terms of what you want to create rather than protecting what you have. Stay in your heart and stay focused on what you want to create. These two guidelines will help you move forward in the best possible way!